The importance of database backups cannot be underestimated. At any moment all the data in your production database could disappear due to any number of reasons - a hardware failure, a bug, a natural disaster, or the dreaded data breach. It is a good idea to keep a backup somewhere, especially if you can do so automatically offsite, in order to minimize or avoid data loss in such situations. On February 22, 2016, we had a data loss incident that resulted in 9% of our customers losing their events from February 22 or 23, 2016, depending on the customer’s time zone... It was our worst instance of data loss in four years and a very stressful, disruptive experience for our affected customers, the Mixpanel engineering team, and the rest of the company. While this data loss was relatively small and handled well to minimize losses, it was still a very stressful and disruptive event for both the company and its customers. They were still well-prepared and able to keep losses to a minimum. If your company has no backup or is not backing up off-site or often enough, a much worse incident could occur, and without a way to restore the data this could result in an enormous loss of customers and money. As mentioned, data loss can occur from a number of possible sources. A very common cause of data loss is a hardware failure. Even with data stored on a number of different drives for redundancy, there is a chance that some or all data could also be lost from all of those drives if they all manage to fail in one way or another. If you have only one storage drive, this can result in the permanent loss of all data if the information on that drive cannot be recovered. Even if it can, this can be a costly setback, as you and your customers will both have to wait for the process to complete. After that, you will still need to restore the data to the proper location while your customers continue to wait. For peace of mind, it is a good idea to backup data in a way that helps to prevent data loss due to hardware failure. 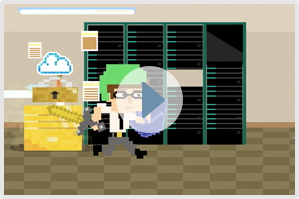 One or more offsite backups would be ideal to help ensure as little data loss as possible. Even a simple bug can be disastrous if it affects the right components, such as your database. The right type of bug could delete the data from all production drives, leaving you in need of a backup that was not affected by the issue. Again, it is a good idea to have your data backed up to an offsite location as often as is reasonable for your type of service. A natural disaster could cause damage that results in hardware failure or could cause the loss of equipment entirely. For example, a fire could destroy the equipment or winds at high speeds could cause a building to topple and/or the hardware within to be moved to an unknown location and possibly destroyed. 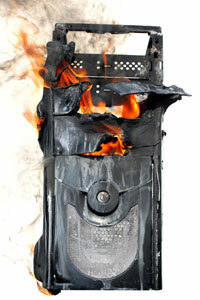 This is yet another reason why an offsite backup is a good idea! The dreaded data breach can result from a number of things: being hacked, an employee losing a device, a password falling into the wrong hands or mistakes that send a customer’s information to a source to which it wasn’t supposed to be sent. A data breach can be particularly damaging, as the data may be both lost and have fallen into the wrong hands. This can have devastating effects on revenue, customer retention, and your staff trying to keep things running and getting data restored into its proper place. The British Home Office lost all of its data on over 80 thousand prisoners when one employee transferred all of that data from a secure server onto a USB stick…and then lost the USB stick. As seen here, a simple accident can cause data loss and/or data to fall into the wrong hands. In this case, the only backup was the USB stick, and it was lost! This sensitive data could have ended up anywhere, and the organization that needed it no longer had it. Other accidental losses could happen as well. Leaving a phone, tablet, laptop, or another device in a coffee shop or car could result in the device being stolen. A dropped device could cause data loss if it was the only place that data was stored. Even accidentally entering the wrong command on the right machine could cause a loss of data. Again, this shows that redundancy and offsite backups are especially important! While having your own internal redundancy is certainly helpful, even that can sometimes fail. One or more automated, offsite backups can help be the difference between recovery and disaster. With this in mind, you will want to make sure you have an offsite location or that you use a service that provides database backups in the cloud, such as Bitcan.